Chika Unigwe’s book, On Black Sisters’ Street chronicles the sad odyssey of an army of young women prostitutes drawn from various parts of Nigeria (and the Sudan!) who invade Europe desperate to do for themselves and their clans what waves of prostitute African governments have neglected to do for them. The ladies, Efe, Ama, Sisi, and Joyce are the main characters in a set of stories that collectively narrate epic struggles in the face of fear and despair. In this well-researched book, Sisi leads this pack of warrior-sisters on the streets of Europe determined to force down the doors of poverty and hopelessness that forced them away from home. They go out daily in search of lonely men - and wealth, the new measure of respect back home in Nigeria. Ikhide Ikheloa lives in the US and is a regular contributor to Literary Magazines and Newspapers. Full details can be found on our website here. Please forward this email to any interested parties and do not hesitate to get in touch if you need any more details for listings. Just email poetry@wigtownbookfestival.com. 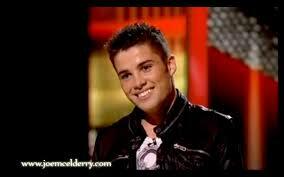 All of us at Eastern Light EPM rejoice with Joe McElderry on his great triumph in xfactor 2009. We wish you a long and successful career. Olly Murs, we voted for you too. Where you got to, you have no excuse not to do well from there. We also wish you a successful career. Tiger Woods announced today that he was putting away his golf club indefinitely as he tries to save his marriage, to try to become a better husband, father and person. This is very commendable. Family should come first. Woods has afterall achieved the highest goals in golf and has made himself a vast fortune. He really has nothing more to prove and could easily retire for good right now. But it has also emerged that it was his wife Elin, who gave him the ultimatum: 'Golf or me.' It appears that Woods has chosen her over golf, at least for now. Hopefully, and for Elin's sake, the break Woods has taken should be a very short one. Tiger knows nothing else other than golf. It has been his life since his toddler days, and if Elin draws it out and Tiger sits at home, the guilty man fiddling his thumbs, doing nothing but look at her face, he might soon become quite resentful. It ought to be sufficient for Tiger Woods, after apologising to his wife, to have taken a short break, and then quickly return to what he knows best. There is absolutely no doubt that he has learnt his lesson, his reputation is in tatters, and so far, with some sponsors not standing by him, limiting or reducing what they do with him, it has also been financially expensive for him, though not as expensive as a divorce would have been. Tiger has also dishonoured himself in the eyes of his children by being unfaithful to their mother. Although they are too young to understand it right now, this is something, given the very public nature of his admission of transgression and the global reprimand, that his children will grow up to know, and he simply cannot explain that to them. The pain that will be in their eyes when they confront him will be far worse than anything anyone else can say to him. It will be far greater than any financial losses. Tiger Woods is not going to rebuild his reputation by staying at home like a grounded schoolboy, and he certainly would regain the trust of his wife by sitting by her side all day long singing 'I love only you, Elin'. Like the saying goes, if you love something, set it free. The results of the Sentinel Literary Quarterly Poetry Competition (July 2009) judged by the Teesside duo Andy Willoughby and Bob Beagrie has been announced in the latest issue of Sentinel Literary Quarterly. First Prize - Miles Cain - "Coffee"
Second Prize - Miles Cain - "Enemy Funeral"